Linen at its best. 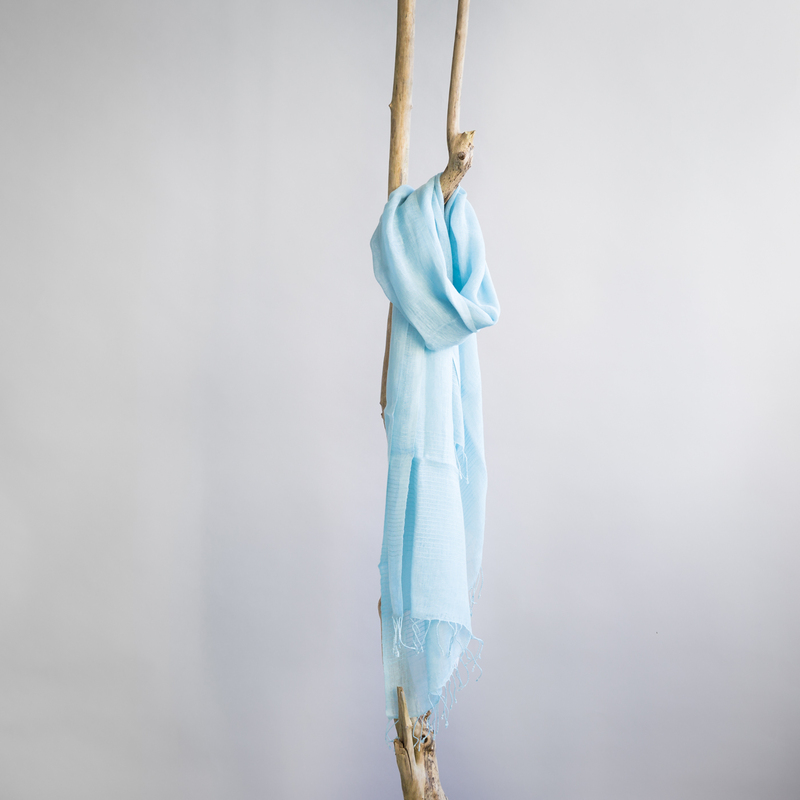 This baby blue piece is handcrafted by artisans working with Ethiopean Fairtrade organisation Sabahar. The artisans decide for themselves how many pieces they would like to make and can work from their homes in Ethiopia's countryside. Linen is a beautiful fabric made from the stalks of the flax plant. 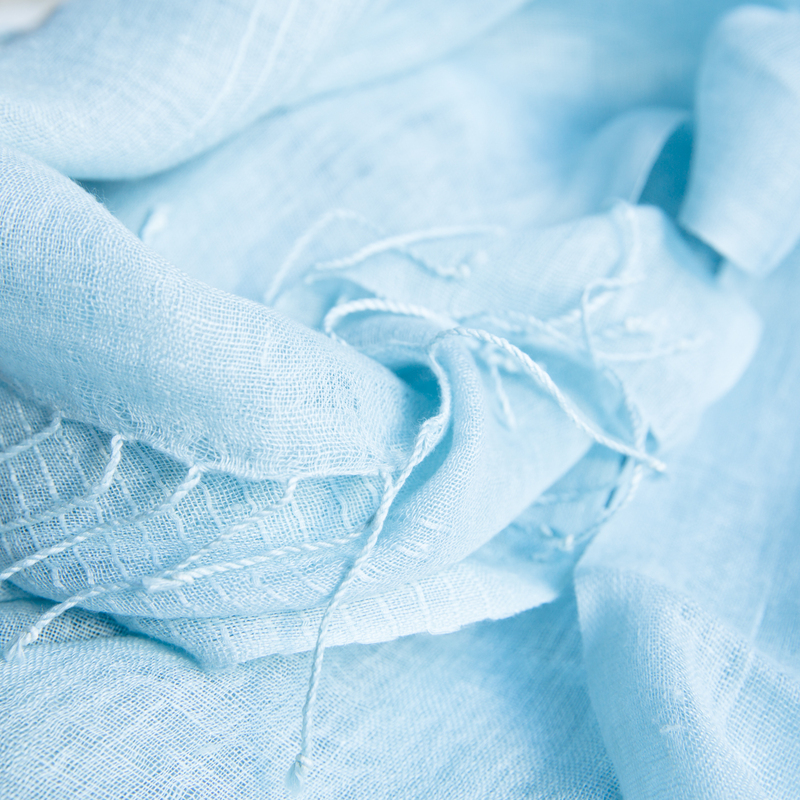 Linen is much more laborious to manufacture than wool or cotton but is highly valued because of its beauty, strength and exceptional coolness in hot weather.